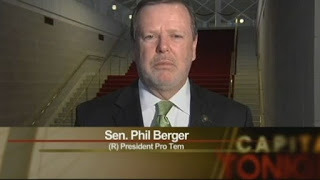 The Boss of North Carolina, Senate leader Phil Berger, thinks if he ignores Jen Mangrum ... well, ignorance is bliss, right? Berger is not only refusing to debate Mangrum, his Democratic opponent. He even refuses to acknowledge her existence. MYFOX8 down in the Triad (WGHP in High Point) tried to set up a debate between Mangrum and Berger, a live on-air debate. Station General Manager Jim Himes set a deadline for both campaigns to agree. (A grudge match like this one would take careful scheduling.) According to the notification Himes sent Mangrum yesterday (posted on her Facebook page), Berger never acknowledged the request. Didn't bother to respond even after Himes extended the deadline. That's not just Berger arrogance. That's Berger flop-sweat. 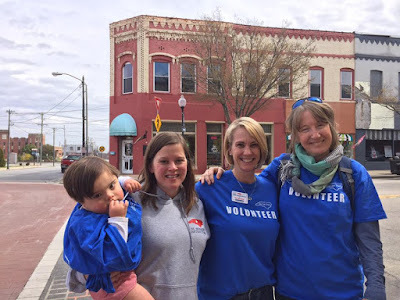 Jennifer Mangrum's candidacy (which I have stalked since late last year, and full disclosure, I'm a repeat contributor), Jen Mangrum has rattled the man, who can doubtless read the atmosphere like a hygrometer. He knows the polls. He fully understands the growing resistance. Which makes him a man in a hurry. Push those rewritings of North Carolina government through quickly. Rush those constitutional amendments to the public, and label them what they're not, and if the voting public votes yes, you'll have all the power forever. He'll play dirty to defeat the resistance. He sent spies to poke their noses in Mangrum's closets, after she moved to Reidsville in order to stay in the race against him. Pretend buyers of the property that Mangrum was renting tried to prove she wasn't really a resident of Berger's district. That didn't work. The State Board of Elections upheld her qualification to run, and the episode just made her stronger. When she posted the Himes email about Berger's stonewalling, she added, "This is important. North Carolina is controlled by a bully and dictator! Hold him accountable!" She's subsequently published Berger's office phone number and asked people to call him to beg him to debate. But 2018 isn't ordinary. Jen Mangrum isn't ordinary. She's got the fire, the smarts, and the guts to keep getting up in Berger's grill. Refusal to debate can be a political practicality. It can also be fear.